Despite the limited amount of poker in Vietnam, there are still some good stories that appear now and then. Just a week ago, a new poker playground opened in the capital city of Hanoi with nonstop tournaments being offered all throughout the week. Then two nights ago, in the virtual world, a Vietnamese player ran very deep at the Sunday Millions 10M Guaranteed 11th year anniversary to ship in over US$500K in earnings. Here’s a look at those stories in detail. 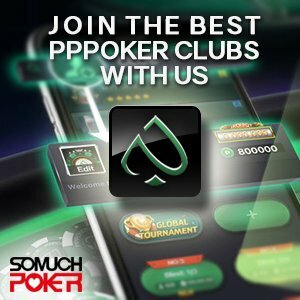 A second poker club has just opened in Hanoi with WIN Poker Club opening its doors late last month. This is great news for all the avid local poker players who, for the most part, have had to travel outside of the country or play online just to get their poker fix. After obtaining membership, players can join in any of the tournaments offered throughout the week. This past weekend saw many poker players glued to their screens with PokerStars guaranteeing a massive US$10 million in celebration of their weekly Sunday Million 11th year anniversary. After late registration closed, the numbers had climbed to an astounding 55,835 entries (re-entries included) at US$215 a pop for an even heftier prize pool of US$11,167,000. Overcoming the enormous field was Xavi666 from Panama who turned down multiple deals at the final table to ship in over US$1 million after defeating Sweden’s Mouzen at the heads up round. Finishing in 3rd place was the lone Asian player at the final table, TranBrothers from Vietnam. Entering the final table, TranBrothers was running a healthy second in chips however, several hands later, TranBrothers took a big hit when pocket aces were cracked by Xavi666’s ace-jack flopped straight. From there, Xavi666 was on a roll and amassed a monstrous stack by the time it was three-handed. Short stacked and struggling, TranBrothers fell at the hands of the eventual champion with dominated by . TranBrothers received a well-earned payout of US$565,140.65.